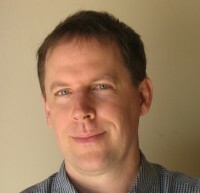 Writing for The Huffington Post, Mark Coker, founder of Smashwords, has made the prediction that self-published books will account for 50% of ebook sales by 2020. 2. The continuing disappearance of brick and mortar bookstores. 7. “Successful indies are mentoring the next generation of writers.” Success breeds success, and this generation of authors is mentoring the next generation and teaching them the secrets to self-publishing success. 8. “Writers are discovering the joy of self-publishing.” Coker argues that if publishers are from Mars, authors are from Venus. “They speak different languages and hold different values. The rewards of self-publishing transcend the conventional and myopic commercial-metric value systems of publishers. 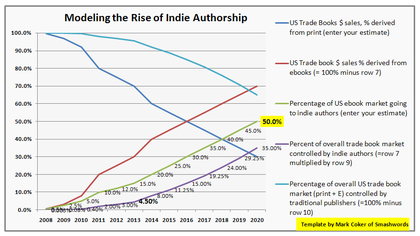 Indie authors are enjoying total creative control, faster time to market, ownership over their publishing future, and the flexibility to innovate and evolve their immortal eBooks which will never go out of print. Indie authors enjoy the freedom to serve their fans as they want to serve them. Icing on the indie author’s cake: Indie eBook authors earn royalty rates four to five times higher than they’d earn from traditional publishers. 9. Reader’s don’t care about the publisher’s name; they care about the author’s. To read the entire article, including why Harlequin might be feeling the heat from self-publishing authors, and to post your own estimates on self-publishing sales, click here.